According to the information of the Ministry of Agriculture of India, the acreage allocated for the cultivation of peanuts, rapeseed, sunflower and other winter oil crops has significantly decreased. The decrease was almost 5% of the crop area, which is about 7.5 million hectares. The tendency of reduction of sown areas is caused by air temperature increasing and decreasing of soil humidity during the sowing season of crops in the autumn. Therefore a lot of Indian farmers have decided to take extreme measures, they left some fallow plots, and the remained areas used under cultivation of more marginal cultures: chick-pea, vegetables, barley. According to preliminary data, this year the harvest of mustard and rapeseed will make about 6,4 million tons, it is on 0,4 million tons less if compared with the previous season. The harvest of soybeans will decrease and will be equal to 9 million tons. Lower showings are caused by a lack of an atmospheric precipitation and soil humidity. 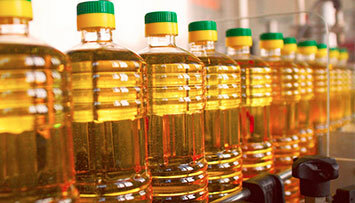 Along with a tendency of reduction of a harvest, a growth of import of vegetable oil is observed in India. Increasing of showings reaches 4% and has happened thanks to the grown purchases of palm oil. During the period from October 2017 to September 2018, the forecasted volume of oil import will be 16,6 ml of tons. The majority will consist of palm oil, and the rest – soy and sunflower oil. The general data of growth of import was 8% in comparison with the level of the same last year’s period.